News Presenter, Sports Presenter, Lifestyle host and Deputy Director of News, Michael joined Nine Perth in 1987 as a crime reporter, after working for seven years in newspapers with the Daily News. 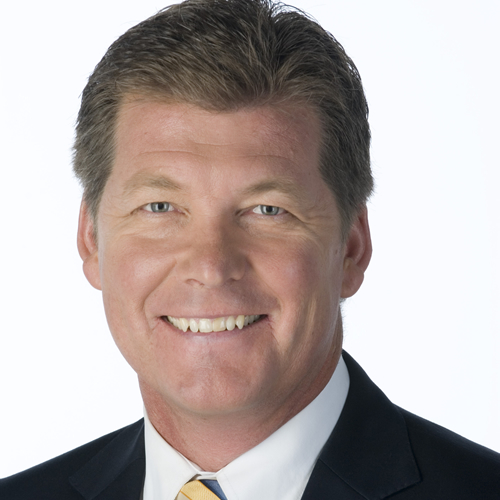 During his time at Channel Nine, Michael has covered the Olympic Games in Atlanta and Sydney, and the 1994 Commonwealth Games in Canada. The Nine Network had the broadcast rights to the Commonwealth Games in Kuala Lumpur in 1998, where Michael commentated hockey. He was also commentator for gymnastics at 2006 Commonwealth Games in Melbourne. Michael also covered AFL Grand Finals, the Australian Grand Prix and commentated on Sheffield Shield and One Day International cricket. In late 1996 Michael became the host of Channel Nine Perth’s lifestyle program Just Add Water. It allowed Michael to pursue his passion for fishing and the outdoors. The show enjoyed major success and entered its 15th season in the summer of 2010-11. In 2001 Michael was also the inaugural host of Channel Nine’s fishing program Fishing Western Australia. Having also enjoyed considerable success as a producer, he co-produced the one-hour special ‘Seaflight – The David Dicks Adventure’. This special followed David Dicks’ historic voyage around the world and is still one of the highest rating locally produced shows out of Perth. He has also co-produced three highly successful one hour specials on the Avon Descent. In 2017 he was appointed news anchor for Channel Nine’s nightly 6pm – 7pm News. In his 30 plus years as a newspaper and television journalist Michael has won many awards for football and cricket reporting. He has also received WA Clear Speech Awards on several occasions and has been awarded the Australian Sports Medal for his services to sport. Michael is also an extremely polished and professional MC/facilitator who is in much demand for corporate, government or sporting events and conferences. He brings a wealth of experience to any function.